Trying to figure out how to remove a tattoo? 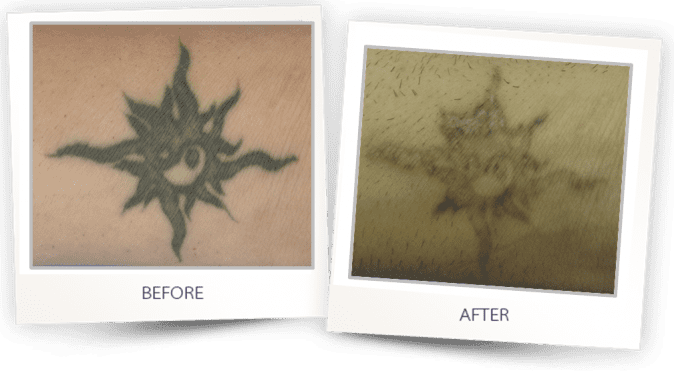 Unwanted dark and multi-colored tattoos can be safely and effectively eliminated with Alma’s variety of tattoo removal treatments. 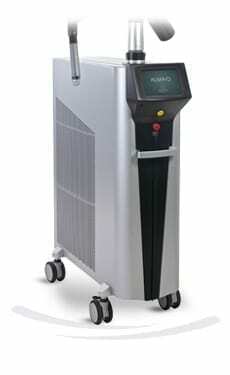 These are clinically proven laser treatments which use a various laser wavelengths that target different ink colors. High-intensity light beams create a photo acoustic shock wave that breaks up the ink particles in the tattoo. 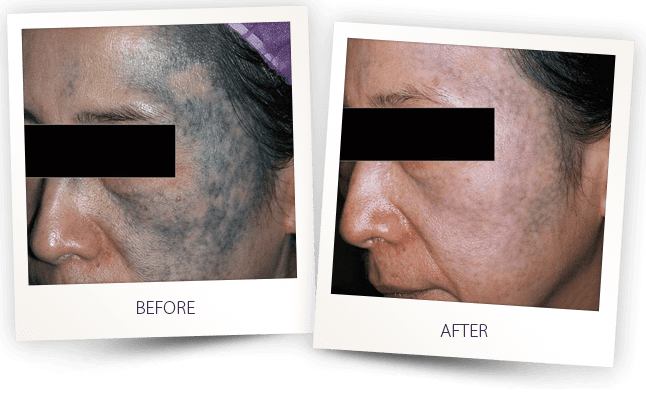 The result after a number of sessions reveals clear, ink-free skin with minimal risk of scarring or hypopigmentation. 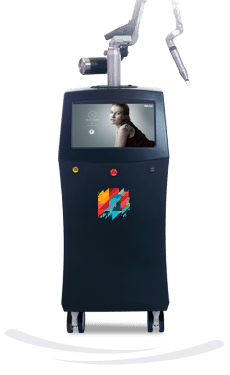 Successful multi-color tattoo removal requires a high powered laser that can deliver enough energy within the absorption spectrum of a wide range of colors. The high power Q-Switched Nd:YAG 1064nm laser is ideal for treating darker ink colors (black, blue and green), while the 532nm wavelength is effective for brighter ink colors (red, orange and yellow). 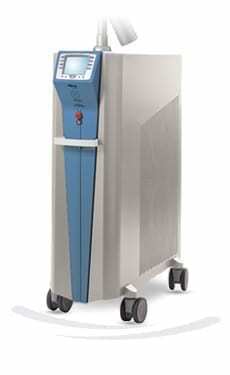 The treatment mechanically breaks down ink particles without causing thermal damage. In time, the body’s lymphatic system disposes of the ink fragments. 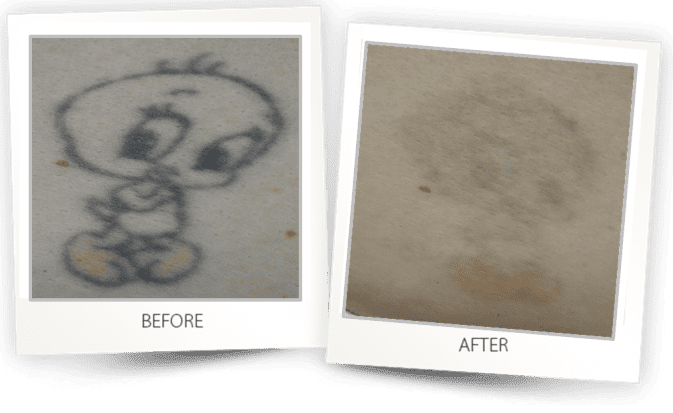 This natural healing process causes the tattoo to fade with minimal risk of scarring or discoloration. 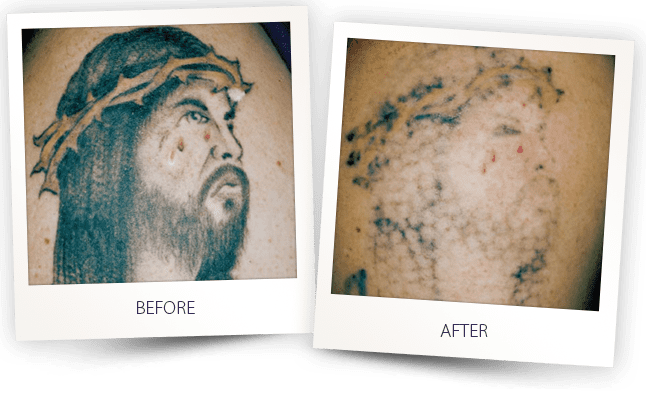 View our extensive portfolio below of tattoo removal before and after photos provided by leading dermatologists and aesthetic providers from around the world. 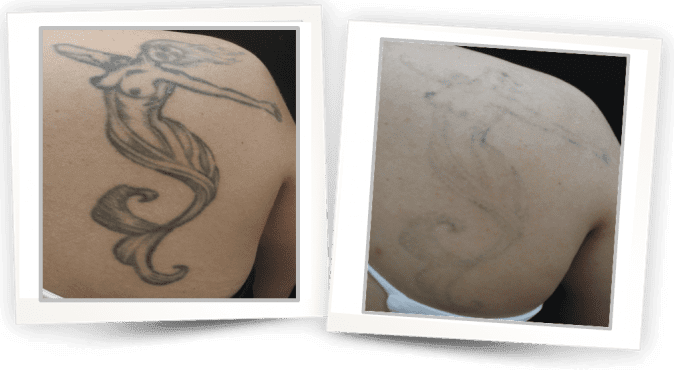 Have a tattoo removal success story of your own? 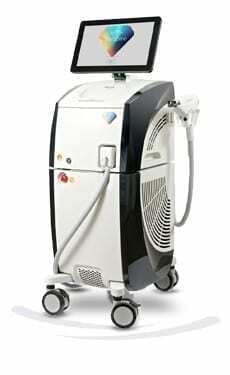 using one of our laser tattoo removal devices? send us the photos and the treatment details to our mailbox and we’ll happily publish it too. 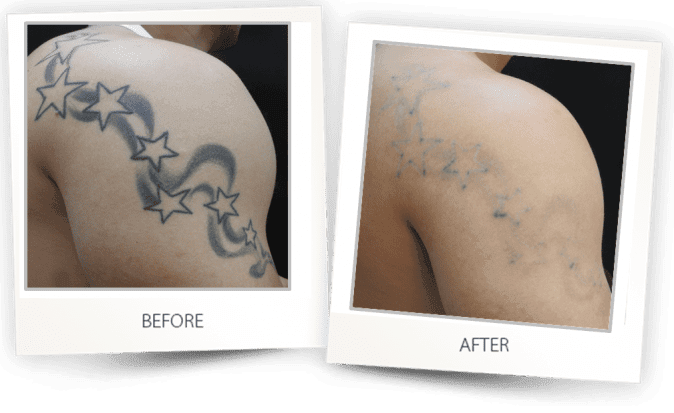 It normally can take between 4-8 laser treatments for a successful removal of a tattoo. 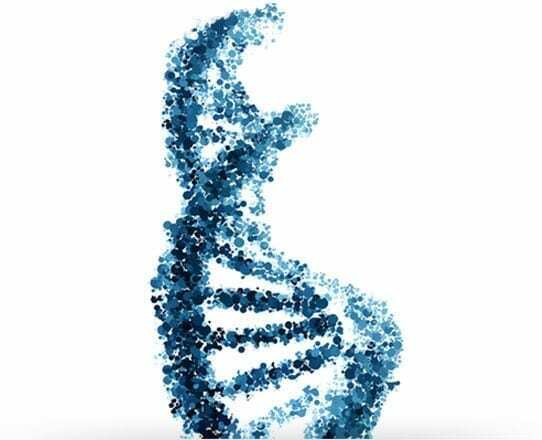 The exact number greatly depends on the age of the tattoo, the patient’s pain tolerance and skin type and genetic factors. Therefor we encourage you to send photos that were taken after each session and not only at the beginning and end of the treatment process. 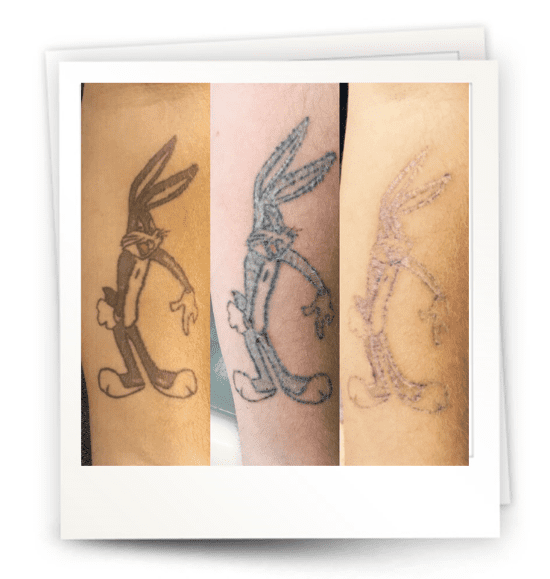 Some patients choose to only remove the tattoo partially, as they want to cover it with a new tattoo so less treatment sessions are required in this case. Watch this video courtesy of @Clinico3 showing tattoo removal treatment using Alma’s ClearLift laser. This procedure is not painless and local anesthesia is used in some cases. Also, it is important to protect the treated area afterwards from the sun. 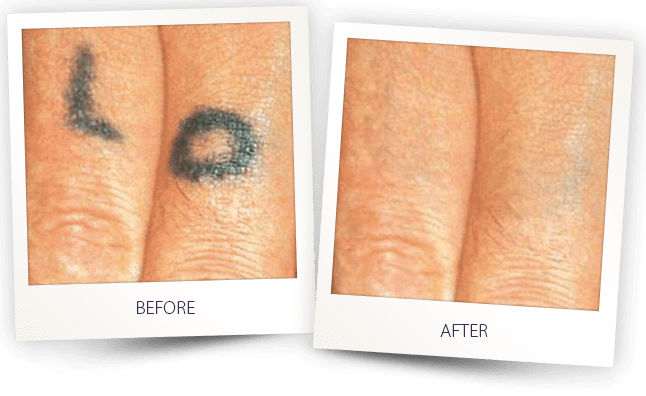 Read more about laser tattoo removal using our ClearLift laser on our Harmony XL Pro patient blog.